Also Available on CD/Digital from plunk's plan recordings PPCD011 c 2016 all rights reserved. Tokyo guitarist/songwriter/singer Suzuki Junzo's new album! 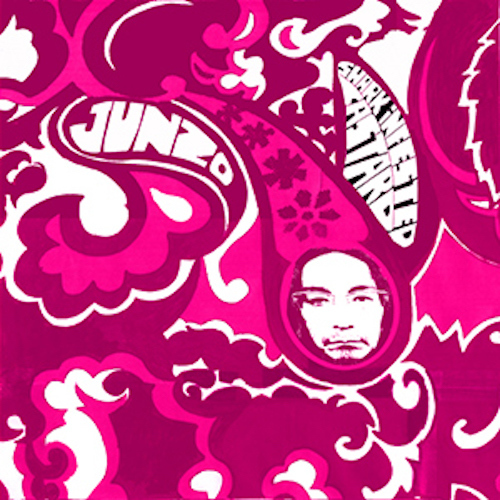 Known from his work with Miminokoto, 20 Guilders, Overhang Party and more, Junzo's Shark-Infested Custard mixes psychedelia, blues, drone, noise and rock into an intoxicating singular blend. Limited edition of 250 copies in a screen printed cover. AATN: for foreign customer, if you buy 'SEVEN' Vinyl Record on this web shop, nowadays, shipping cost of Vynil record is expensive. so i send you invoice of total shipping after you checkout. thanks.